Total : 195 j. 07 h. 31 min. Temps à bord d'ISS ISS Expédition 29/30 192 j. 21 h. 33 min. Total: 204 j. 21 h. 21 min. DATE AND PLACE OF BIRTH: February 20, 1972, Sevastopol, the Ukrainian Soviet Socialist Republic (the Ukraine). From 1989 to 1992 he studied at Chernigov Higher Military Pilot School (HMPS). In 1994 he graduated from Kachinsk Higher Military Pilot School with honours diploma. In 1997 Shkaplerov graduated from Joukowski Military Air Engineering Academy with specialization: Research Engineer-Pilot. MARITAL STATUS: married, has a daughter. From 1997 to 1998 he seved in combatant forces in Kaluga region. Since 1998 he was a senior pilot-instructor of pilot group Sky Hussars of Aircraft Engineering Exhibition Center (AEEC), Air Forces, then - the Air Forces aviation regiment squadron commander, Kubinka, Moscow Region. He flies aircraft L-39 and MiG-29. 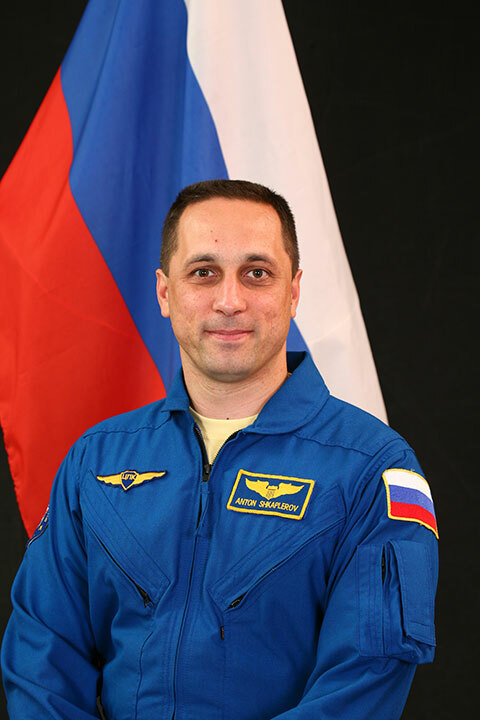 On May 29, 2003 by decision of the Interdepartmental Committee for the cosmonaut selection he was enlisted in the cosmonaut detachment to pass general space training (GST). 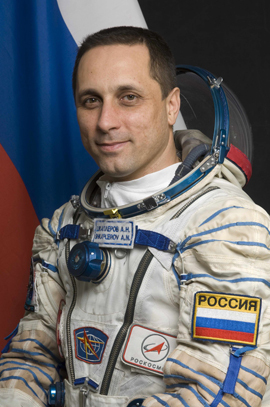 From June 16, 2003 to June 28, 2005 he passed a course of general space training and on July 5, 2005 by decision of the Interdepartmental Qualification Committee he was qualified as a test cosmonaut. In July 2008 it was reported that he was assigned to the backup crew of Expedition 22 to the ISS. On September 21, 2008 his assignment was confirmed in the ISS flight plan published by Roscosmos press-service. In July 2009 it was reported that he was assigned to the backup crew of Expedition 27 and on a capability of his possible assignment to the prime crew of Expedition 29 to the ISS. On October 7, 2009 his assignment was confirmed by NASA (release ¹ 09-233).